Nothing very special yesterday. Just did some errands and went to a pool party. I decided to wear something casual as well as comfortable outfit. 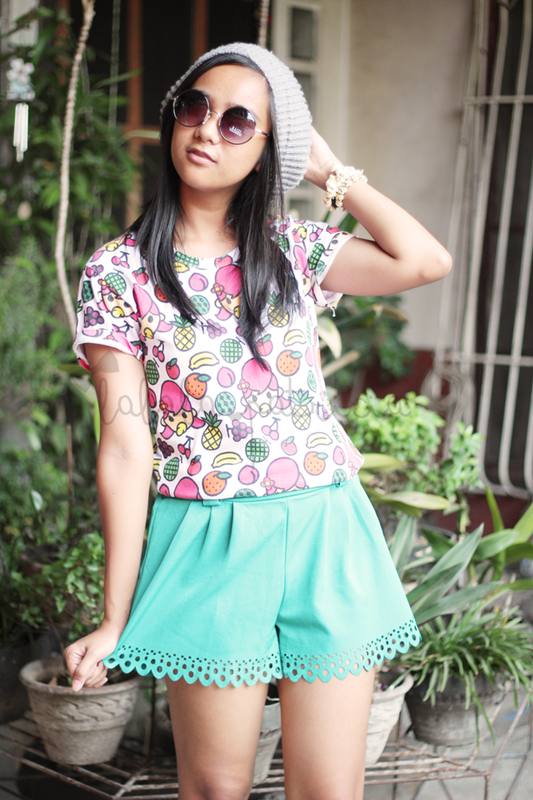 So I grabbed this fruity top and paired it with this mint cut out shorts just like a happy kid who loves fruits and colors. Polished up my outfit with the beanie and sunnies! 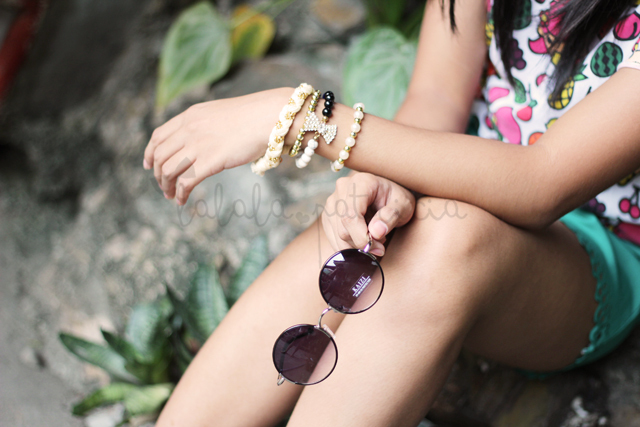 Happy pastel colors for summer? Why not!